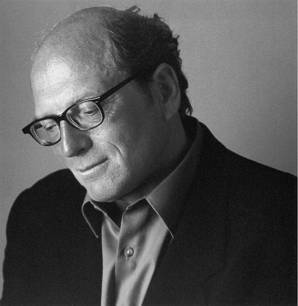 Writer Oscar Hijuelos read from his new memoir "Thoughts Without Cigarettes" at the Printers Row Lit Fest in Chicago in early June. The author won a Pulitzer Prize for his novel "The Mambo Kings Play Songs of Love" in 1990, and he was the first Latino author to win that prize for fiction. Hijuelos spoke about language and his Cuban-American identity. A childhood illness left him hospitalized a year and shifted the way he spoke. What happened to be wrong with me came down to the fact that I never answered my mother in the language she most wanted to hear, el español. I just couldn't remember the words, and this must have truly perplexed her, for I've been told that, before I went into the hospital, I spoke Spanish as cheerfully and capaciously as any four-year-old Cuban boy. I certainly didn't know much English before then. The shift in language as a child and also not "looking Cuban" are themes Hijuelos explores in his first work of non-fiction. Hijuelos was interviewed by Carolyn Curiel, a former U.S. Ambassador and former member of the New York Times editorial board. He said growing up people would tell him, "No pareces cubano," or "You don't look Cuban." Hijuelos is fair-skinned with hazel eyes and he said his hair used to be blonde when he had more of it. He said he never understood the comments about his appearance. "I looked a lot like my father, to me, he was the ultimate Cuban." But later Hijuelos recalled a conversation he had with his mother. "Why is it that I don't look Cuban and papi looked Cuban?" he asked her. His mother responded. "No, he never looked Cuban." Hijuelos traced his looks back to a great-great grandfather who was Irish. But in this new book he explores personal questions of identity that many other Latinos or children of immigrants can relate to. When asked to define his identity, he responded like a writer. "I've always been a loner," he said. He then added, "I've always taken deep pride in my Cuban roots."